I’m almost ashamed to admit but I’m really REALLY struggling with the Cape Town conditions on some days – I’m fine with strong wind and got used to the cold water but those massive waves that come from the ( for me) “wrong side” (I usually jump to the other side and am used to spots where the wind comes from the other direction) makes it really hard. 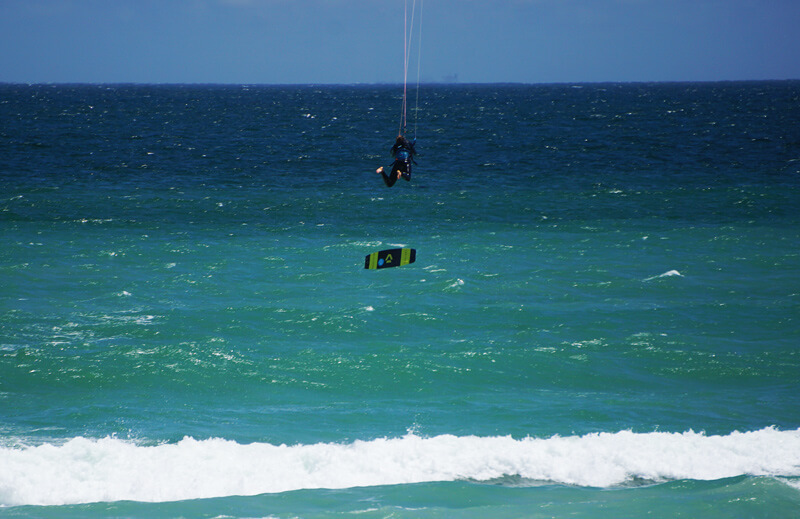 Two kite sessions on two consecutive days went both really wrong after only a few minutes of kitesurfing. On the first one I somehow went full on into a wave that started crashing on top of me and twisted my head while a gust caught me. On the second one I crashed my kite in the wave after literally 1 minute 😂and the kite started deathlooping. 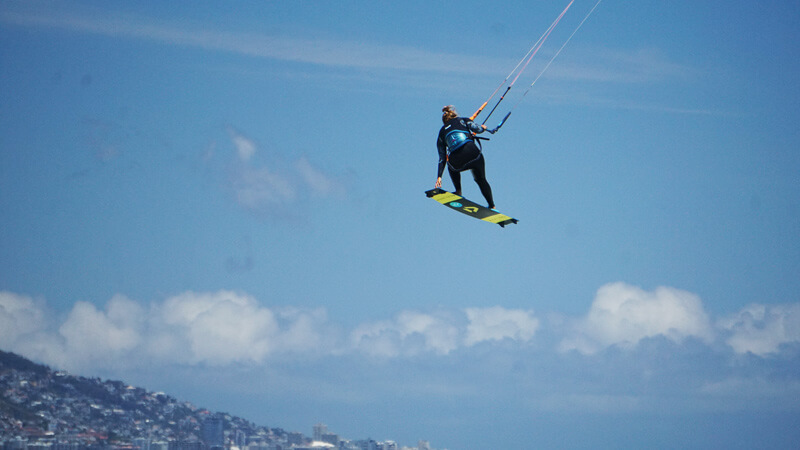 After 7 years of kitesurfing, I felt like a complete failure. Like a complete beginner. 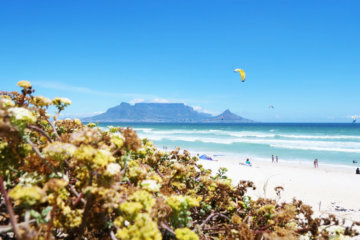 After bathing myself in self-pity and telling myself “I’m never gonna kite in Cape Town again, ever!” I got back out on the board (and broke my personal record, finally jumping higher than 10 meter!). I conquered that fear and this at first devastating feeling of being a complete failure. 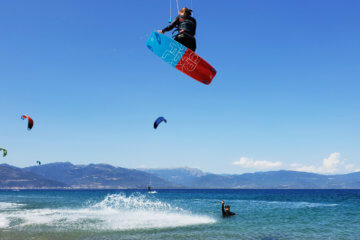 I think this is not only important for your kitesurf progression but for any area of your life! Ready to get back out there? One of the most important things is to ask yourself why that happened. And I know it’s easy to blame the equipment or the conditions and not yourself. But what can YOU change so this won’t happen again? The kite started deathlooping? Watch a tutorial on what to do about it. Your equipment was old and broke? Learn how to take care of your equipment and check it regularly. 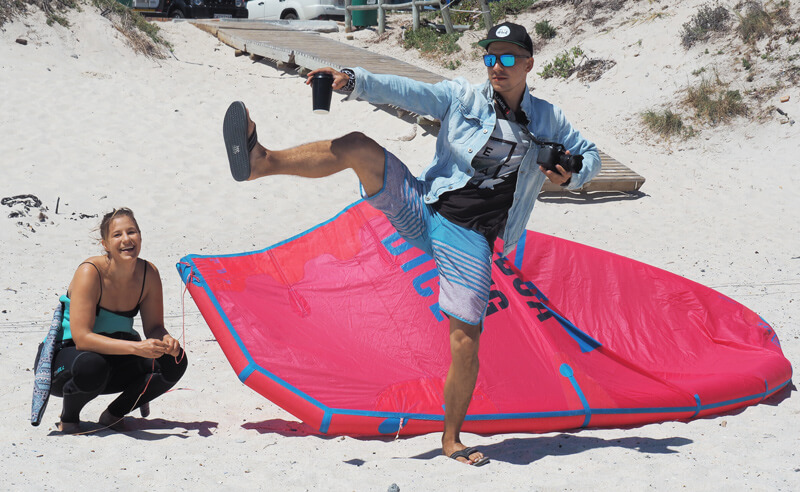 Just linking my article on Kitesurf Safety here as well as it covers a lot of things that could go wrong and you can prevent! It took quite some pep talks, motivational speeches and pushing from my brother and friends to go back out there again. Tell them about what happen since 1) they might have some tips on how to avoid that next time and 2) they will push you to get back at it. Even though you might feel stupid about it, ask your friend to watch out for you on your session the first time you go back in. In case you are not blessed with a friend (or brother like I have 😉 ) who gives exceptionally good pep talks – watch motivational videos. Sounds cheesy but for me they always help (the one below is the one I watched last time). Repeat until it sticks with you and you feel the motivation rising again! I know it’s easy to get stuck in the present moment, with that feeling of failure. Focus on the feeling you’ll have once you conquered this. On the growth if you have gone through this crappy experience. Just see it as one more obstacle to test you before you progress. Find parallels in life where you had similar situations and ruled it. There are so many areas in life where we failed big time and got up again and succeeded! Or when we were incredibly scared of sth., went through with it and won big time! My Tip – Start a success diary! I started leading a success diary where I write all the big and small wins I have in any area of life (kitesurfing, work-related, personal, relationship-related). 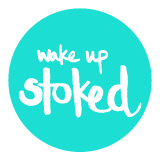 I set myself a reminder on a weekly basis in the calendar – since it’s so easy to forget! We tend to remember the negative things that happened to us more so it’s nice to have a different reminder on hand whenever you need it. Since I travel a lot I have it digitally in my Evernote notebook (or you can simply use notes and synchronise it to your laptop and smartphone) so every time I remember something I write it down, no matter where I am. 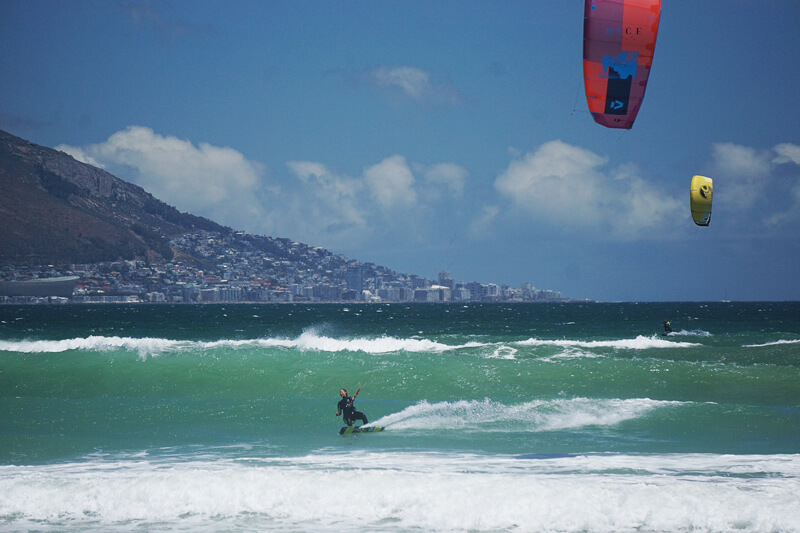 Just as for kitesurfing, failure should become a “normal” part of your life. It is simply an indicator on where you can still grow, learn, expand. On this note, here are some inspirational quotes on failure which you can use as mantras during hard times! 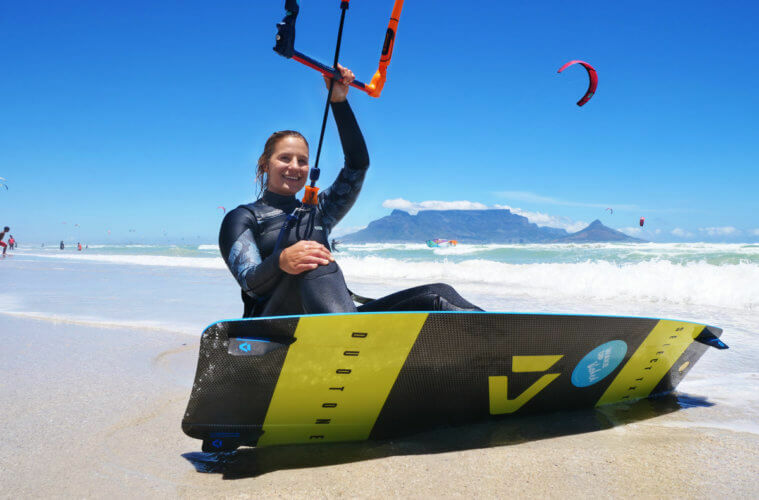 Here are some more tips on how to progress with your kitesurfing skills or how to go from zero to hero if you’re still at the beginning of your kitesurfing journey. 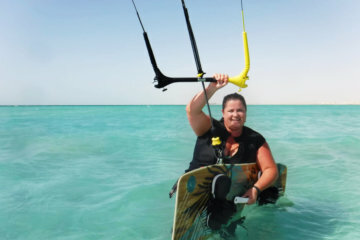 If you need some more inspirational stories, check out John who is kitesurfing at age 69 or Maddie who summed up her kitesurf journey with the catching title “Fuller figured female fights to fly“.